Yeah, sure, Sammy. Maybe if your band’s called the Ventures. Nevertheless, as is usually the case at VH shows, gifted guitar king Eddie Van Halen—who appeared a little under the weather himself—saved the day. 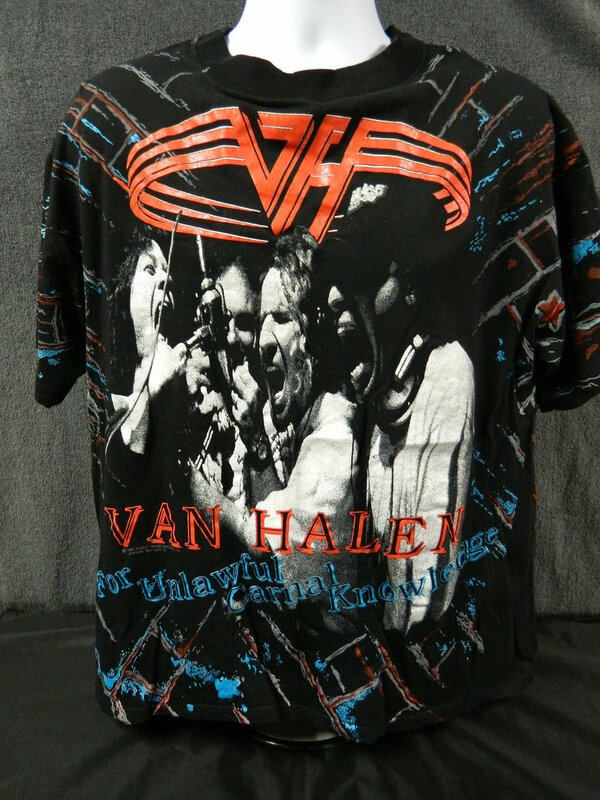 While the concert as a whole was no great shakes, and the energy level of the crowd was close to nil, there’s something about Van Halen’s seemingly effortless, off-the-cuff raunch blasts that make his band’s otherwise commonplace shows worthwhile. With former Zepman Jimmy Page watching from the wings, Steady Eddie put the band and flagging frontman Hagar through their paces, from the opening “Poundcake” (a not-so-great tune from the ho-hum new album) to the encore, “Dance the Night Away” (a great tune from the excellent second album). In between, there was a drum riser that rose way, way up, and a light show that relied more on precision and dynamics than sheer wattage and special effects. Hagar tried valiantly to incite the crowd, leaping about and kicking his feet like a boozed-up Baryshnikov, but few of the 14,000 in attendance went wild. Not even the band’s scorching version of the Kinks’ “You Really Got Me” really got ’em. Warm-up act Alice in Chains—while a fine, thrash-edged rock band—fared even worse with the crowd, which couldn’t have cared less who was opening for the biggies. It seemed as if the only body moving to the Seattle quartet’s harsh groove belonged to that perennial concert-goer, the CFOX mascot, cavorting all alone in front of the stage.